The Bedouin are an Arab ethnic group, traditionally wandering tribes that live in the desert. 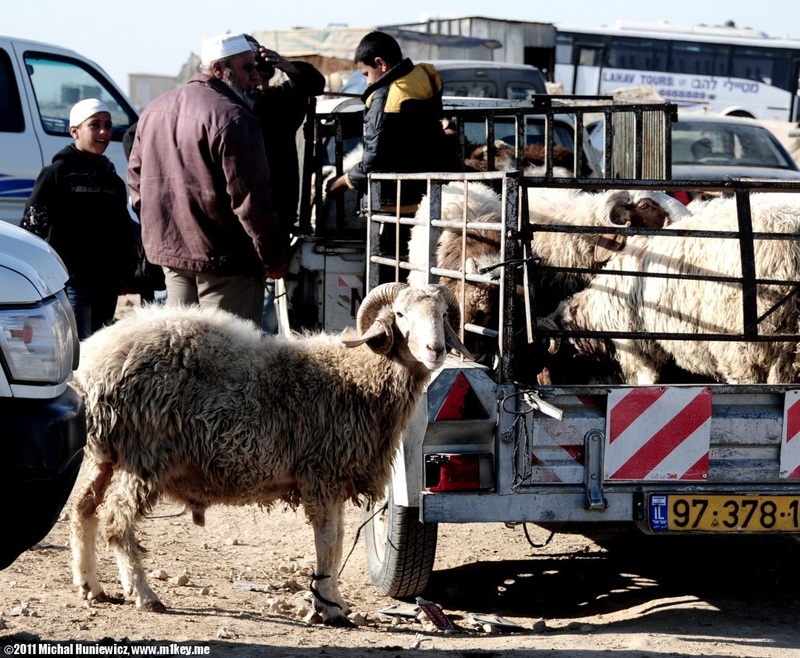 They used to be nomads, but today most of them have settled (at least in Israel). They no longer live in tents and they do not wander. I somehow thought they wandered per se - in reality they had to do it because water and pastoral lands are so scarce there. The word bedouin probably comes from the Arabic word bedu - inhabitant of the desert. There are 170,000 of them in Israel and most live in the Negev desert. They are Israeli citizens. Their political situation is very complicated though. Most Bedouin did not register their lands with the Ottoman or British empires to avoid taxation, and therefore today their ownership is not recognised. Then, in 1950 the Black Goat Law was introduced to prevent land erosion (some say it was only an excuse to control the Bedouin); that law meant one could only graze his or her goats within their recognised land holdings. 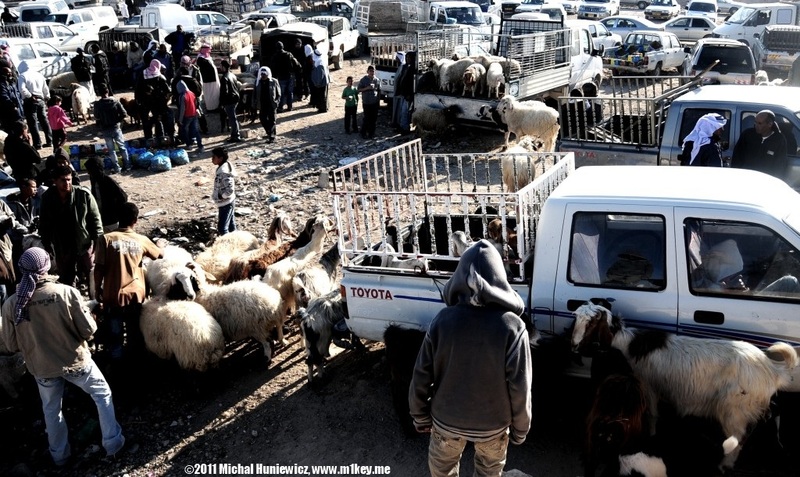 That caused the majority of the Bedouin to migrate since they could no longer legally graze goats. In 1979, a 1,500 square kilometer area in the Negev was declared a protected nature reserve, as a result of which a major portion of the desert was out of Bedouin bounds. 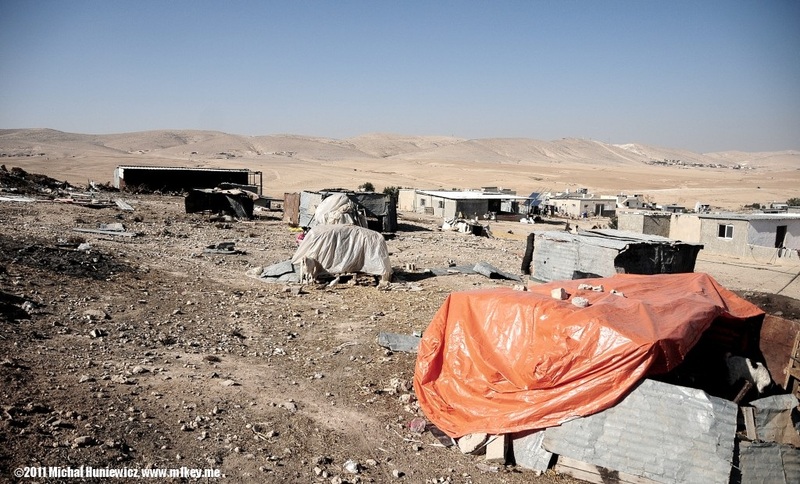 Between 1977 and 1981 nine hundred Bedouin encampments were removed. 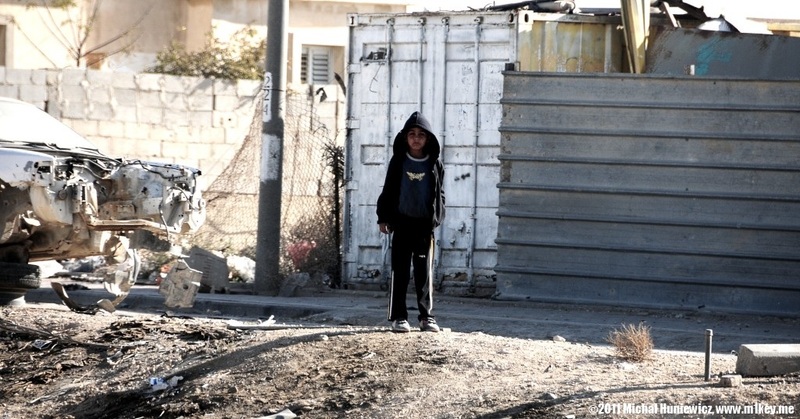 In the 1970s and 1980s tens of thousands of the Bedouin in Israel resettled to towns created by the government. Those towns however had no business districts, unemployment quickly rose to very high levels and so did crime, as well as drug use. 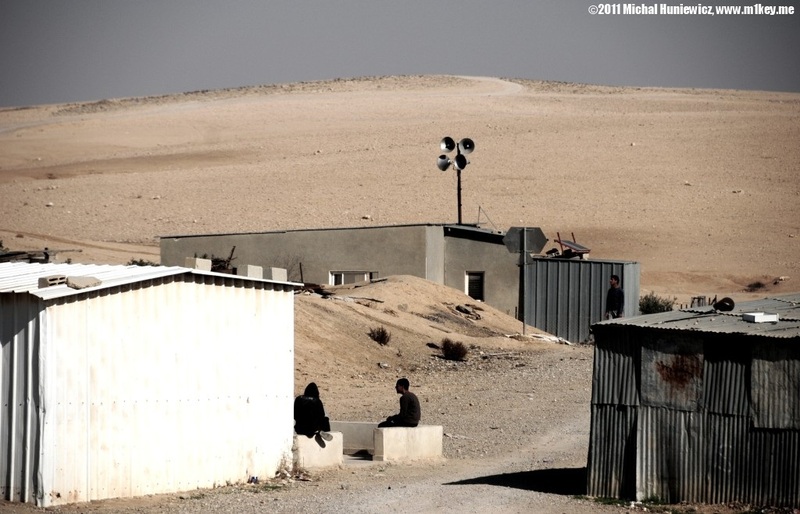 Some of the Bedouin still live in not recognised villages. One of them is Alsra where I took some of my pictures below. Talking to people I realised that they have a completely different mindset and different values than Westerners; that is probably the major reason why it's so difficult for their situation to be resolved. They want to cultivate their diversity, live where they have been for generations, and to be left alone, so that they can pursue their agricultural lifestyles. The Israeli government wants them to move and integrate - sometimes to protect nature reserves, sometimes to make room for settlements. 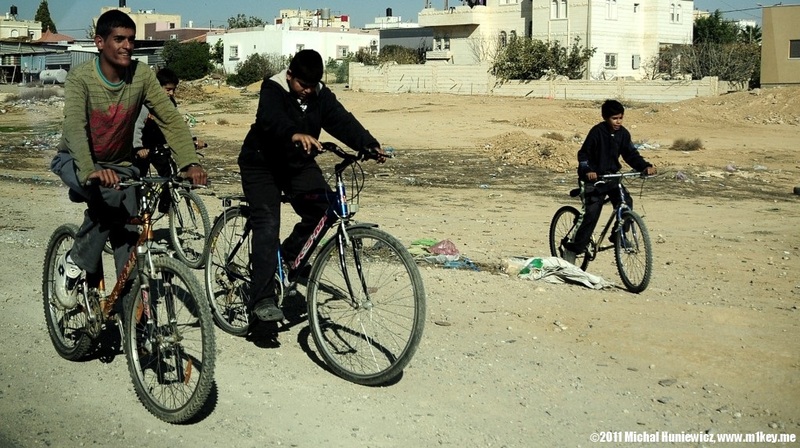 The Israeli authorities promise better access to resources and services; however the townships were often built with minimal investment and the situation has not improved much in the last decades - so they are not a very attractive alternative, although they do offer municipal services. It's worth mentioning for objectivity that Israeli Bedouin enjoy better conditions than their brethern in Arab countries, mainly in areas if welfare and land ownership. I do not have a strong opinion on the subject due to my ignorance. The next few pictures were taken in a Bedouin market, organised once a week. You can buy goats, sheep, camels, but also clothes, utensils, ovens and much more. Most people did not want their portrait picture taken but this man kindly agreed. The children were outside the main market area, waiting for the market to end, which happens after 10AM. We were told that sheep and goats cost around £200 each, I don't know how accurate that is. Camels are much more expensive, being the Bedouin equivalent of a Ferrari. A symbol of status. These men were also outside the market. You can see the traditional Arab headdress, kufiya, used to protect from sun exposure. It has, to some extent, become a symbol of Palestinian nationalism, and I was advised not to take one with me to Israel (I own one that I bought in Estonia), even though there have been Jewish tribes wearing them, as well. Interestingly, they have been issued to British soldiers for decades. There was just one woman in the market, excluding two German girls I was travelling with. We were told it's not prohibited for women to go there, but simply unusual. 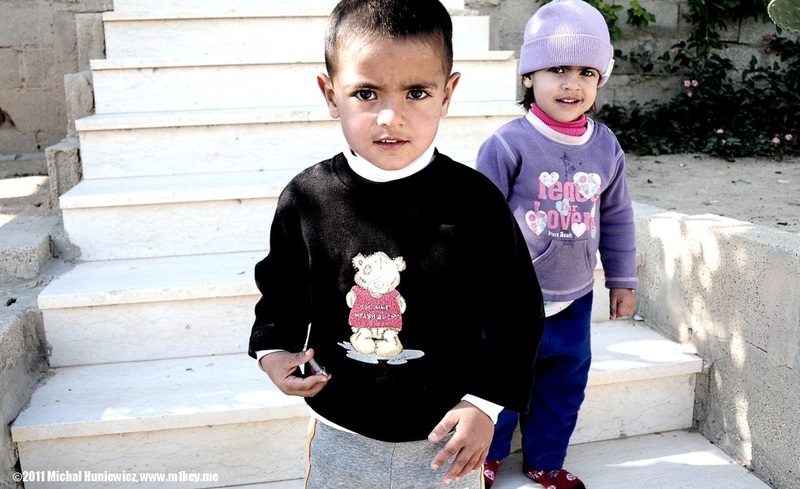 When approached by a group of kids, I told them my name; they then asked whether I had a wife. "Two! ", I said, pointing to the two blondes. The children were very impressed. The German girls - not so much. 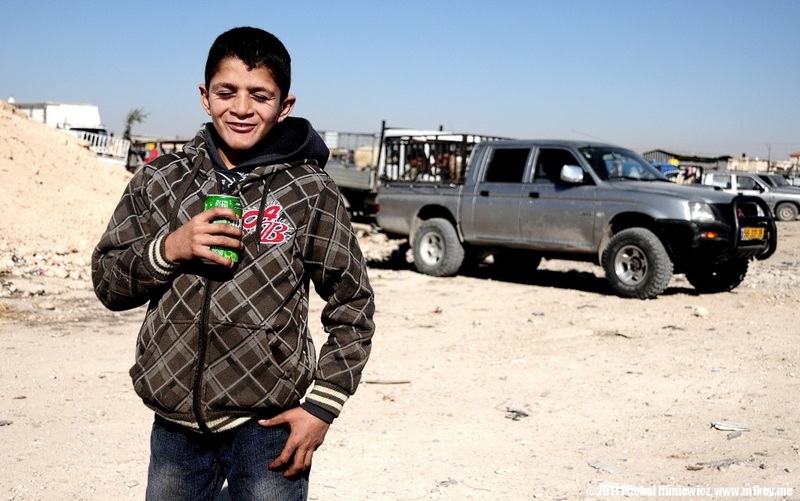 Many Bedouin don't call themselves Bedouin there. 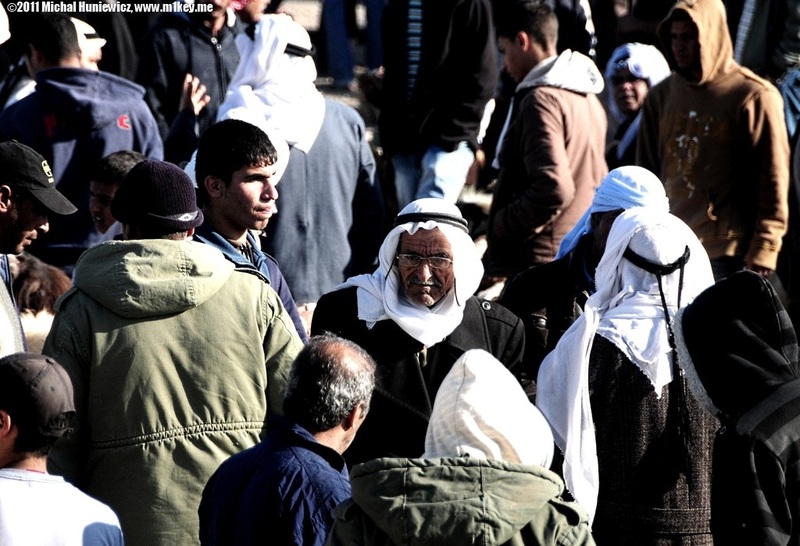 Instead, they call themselves Negev Arabs - and that's because they do recognise the fact that nomadic days are over. There are records of Nomadic presence in the Negev from between 4,000 and 7,000 years ago. The Bedouin of the Sinai peninsula migrated to and from Negev for many centuries. They sometimes created permanent structures, such as cemeteries and open-air mosques (some still in use). The Bedouin fought with the Turks against the British in World War I. Later, the British Mandate established the first formal schools for the Bedouin, but the rule also caused poverty. The children didn't know which language to speak to me; they tried Hebrew ("Shalom!") and could speak a few words in English. Once one of them agreed to be photographed, everyone wanted a picture. State-created townships lacked business centres, banks, and public transport. 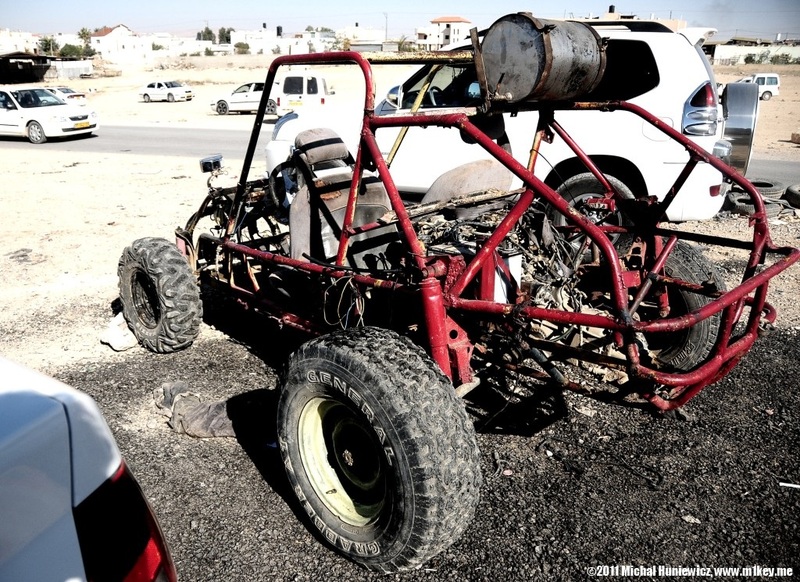 They quickly became one of the most depraved towns in Israel, which is confirmed by scientists from the Ben Gurion University. The towns effectively became ghettos. Unemployment among men reached 25% in 2000. 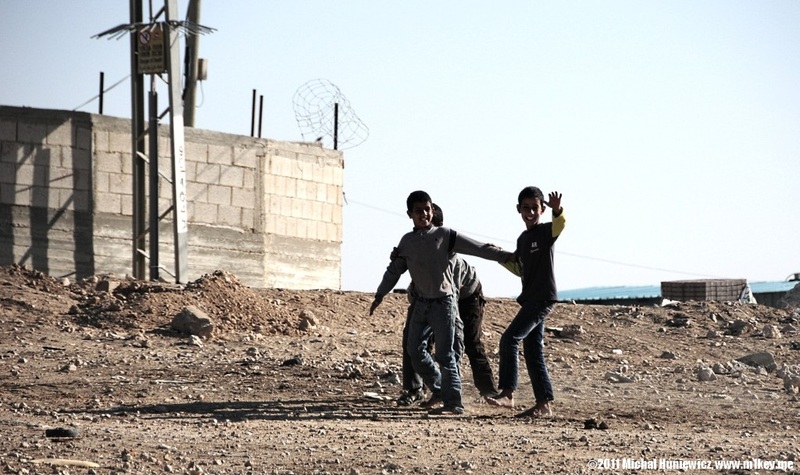 The situation of Bedouin settlements has improved in 2008 when a railway station was built near Rahat. 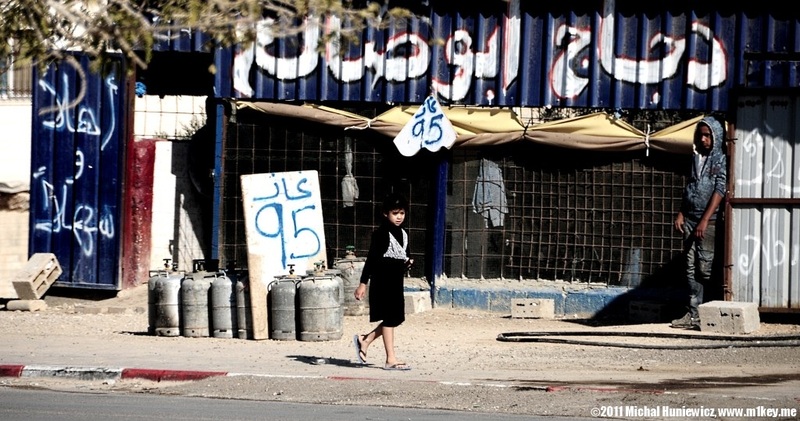 Rahat is the largest Bedouin settlement in the world (51,700 people in 2009). The Bedouin benefited from the introduction of modern healthcare. Infant mortality rate, however, is still very high due to poverty and lack of hygiene. When in the 1950s mandatory schooling was extended to the Bedouin sector, illiteracy decreased from 95% to 25% within one generation. 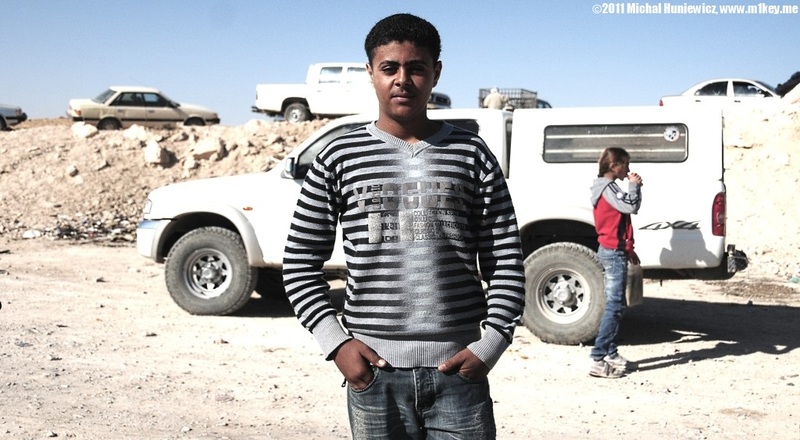 On the other hand, drop-out rates are very high among Negev Bedouin. Also, enforcement of mandatory education has been weak, especially in the case of girls. The situation is slowly becoming better; in the way is, among other things, the conservative approach of the Bedouin towards women. 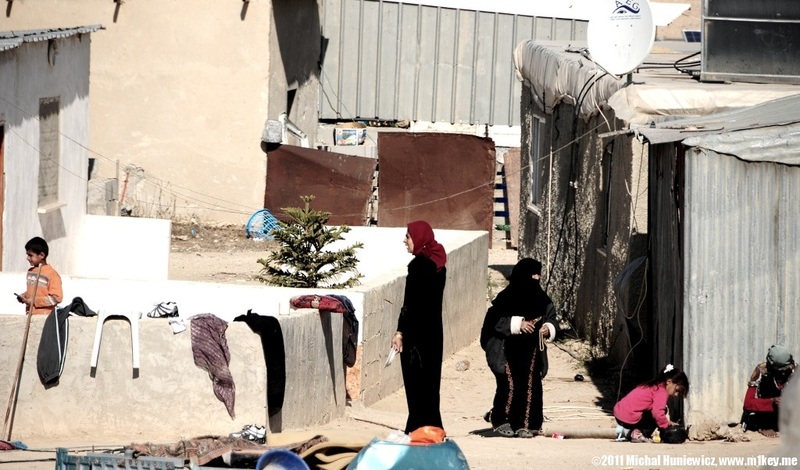 Interestingly, women lost their status after the Bedouin decided to live a semi-urban life style. Also, there were reports of female genital cutting, but this practice seems to have somewhat mysteriously disappeared by 2009; it is unknown why. It was also less severe than in some African countries - "only" a small cut. 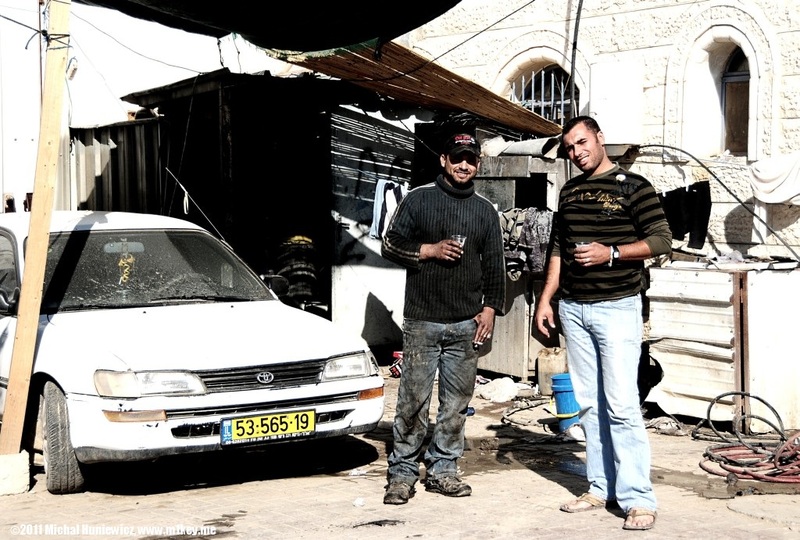 The Bedouin are not required to serve in the army (unlike Jewish Israelis). 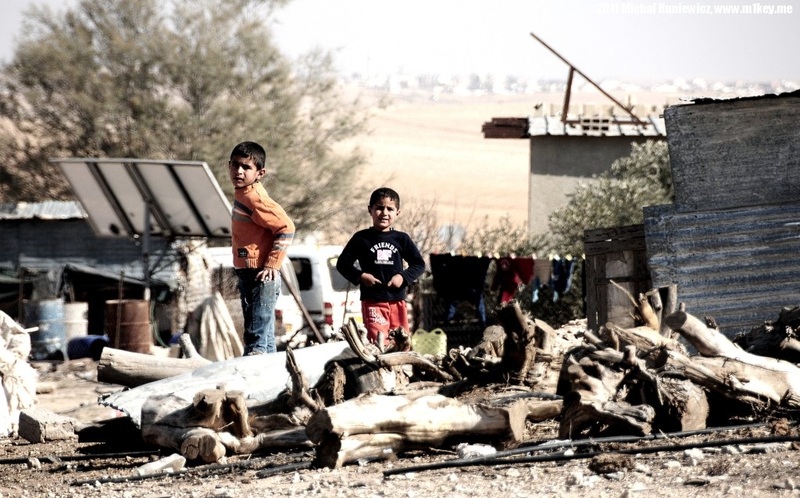 Between 5% and 10% of the Bedouin volunteer each year. Some studies find that the Bedouin tend to identify as Israelis more than other Arab citizens of Israel, some show that they have a pretty high (46% in 2001) rate of people rejecting Israel's right to exist. The first Bedouin vice consul of the State of Israel, Ismail Khaldi, is a strong advocate of Israel, while recognising its imperfection. Mr Khaldi emphasises that the large Arab minority in Israel has the right to vote, elect members to parliament, and become judges, professors and senior army officers. 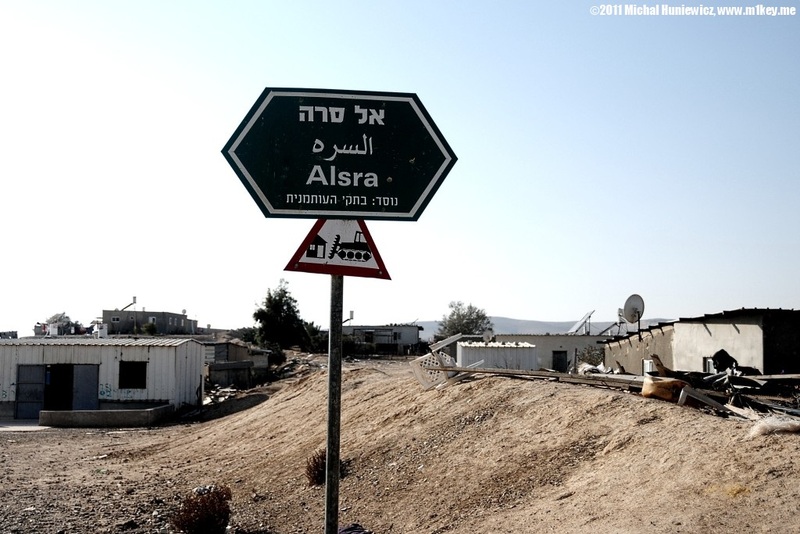 Alsra is an unrecognised Bedouin village and might be demolished. 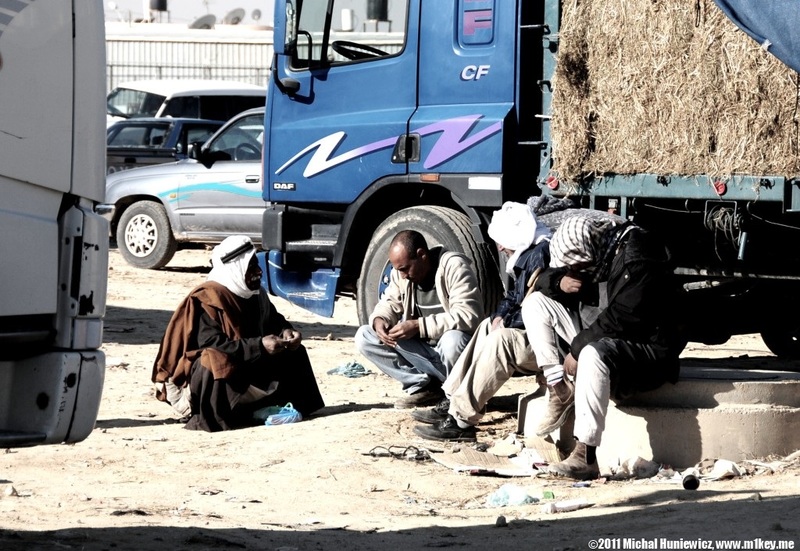 After I visited, however, I was told that the local Bedouin had won the case against the state and would be allowed to stay (indefinitely, unless the state goes to a higher court instance). 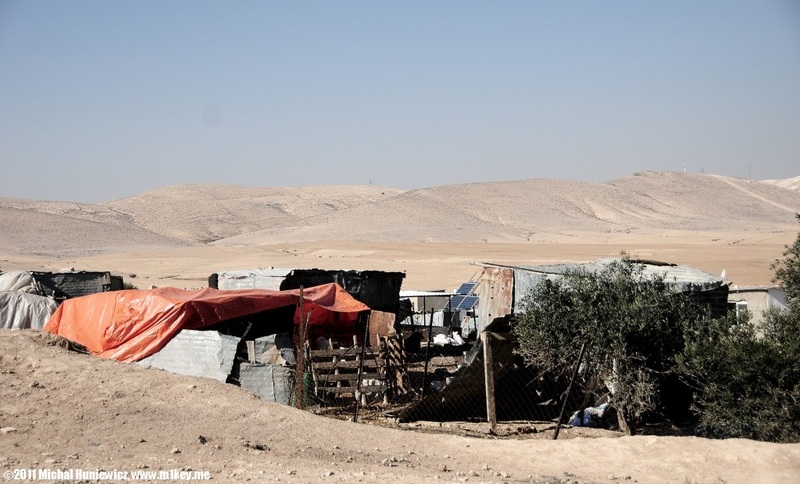 Half of the Bedouin citizens of Israel live in such villages. The village has solar panels for energy, is connected to water, and even has an improvised Internet connection. Since the village is not recognised, it is ineligible for municipal services. 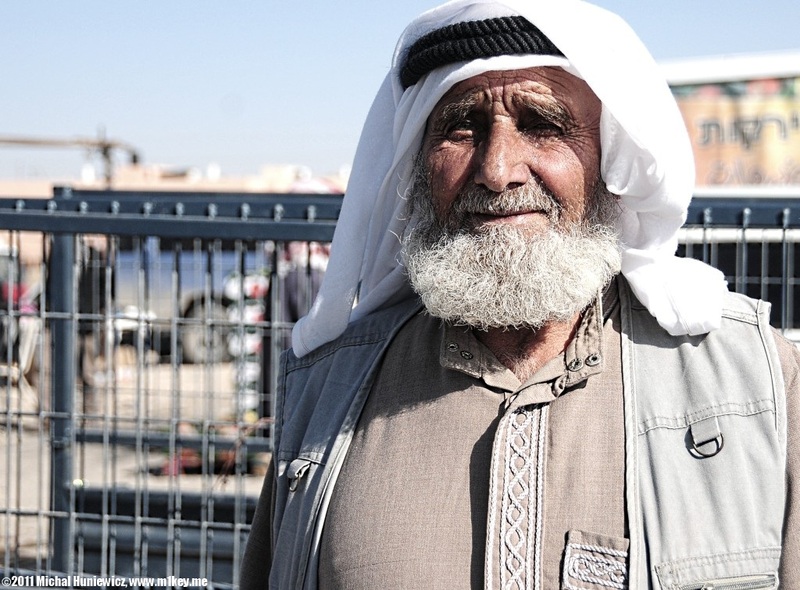 The Bedouin population is growing at a very fast rate (5.5%). 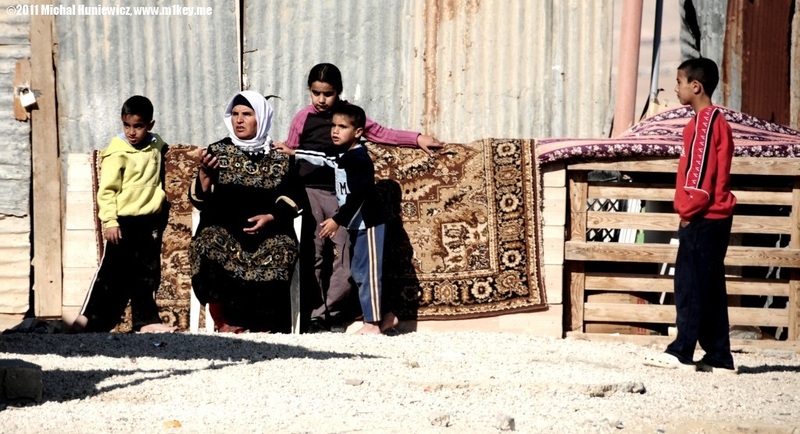 According to some sources, polygamy exists in the Bedouin. The village is separated from the desert by a dike that's visible on the left hand side. In 2003, Shai Hermesh, the treasurer of the Jewish Agency and head of its effort to establish a solid Jewish majority in the desert told The Guardian: "We need the Negev for the next generation of Jewish immigrants" and added, "It is not in Israel's interest to have more Palestinians in the Negev." There were Bedouin women who hid from me when I approached with my camera. There was an old one who could not escape quickly - she instead hastily buried herself in clothes. Since "empowerment of women and the emancipation of them from a livestock version of compulsory reproduction" (Christopher Hitchens) are so vital to general wellbeing, there are many organisations that help the Bedouin women become more independent. I visited one such organisation in the Negev, in Likiyah . The women there were taught to weave, so that they can have their own source of income. They had an American spokesperson and I found it absolutely fascinating - in fact, most volunteers I met in the Middle East were American. Here is the organisation's website. 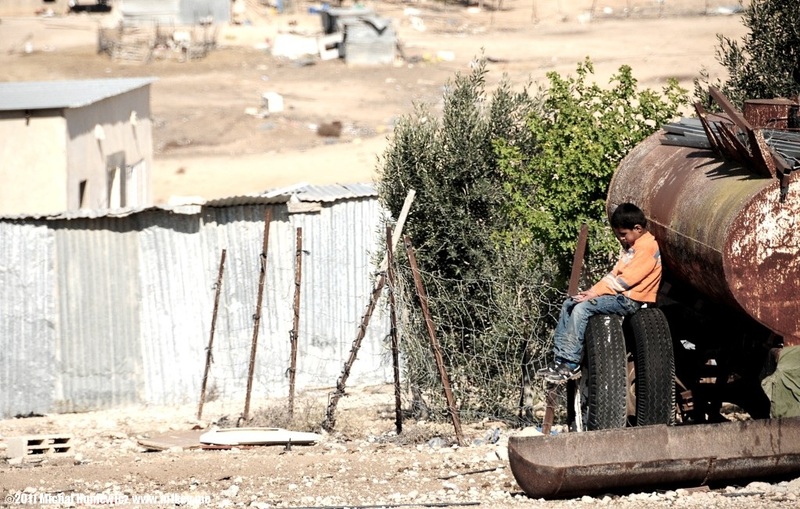 Boy sitting next to a water tank. Cloud Snatcher was the title given to Ali Bey, an Egyptian general who defeated the Bedouin in the 18th century. Why Cloud Snatcher? Because the Ottoman believed the Bedouin were as hard to catch as clouds. Another piece of information not related to the picture: bish'a is a ritual practiced even today by some of the Bedouin, including those of the Negev; and it's a form of trial by ordeal. The accused has to lick a hot metal object three times. If the tongue is scarred or burnt - the accused was lying! The Bish'a was illegal during the British rule. It is also illegal under the Israeli judicial system. Neither is it consistent with the Sharia (bish'a it's dated to pre-Islamic times). The practice is said to be becoming rarer. 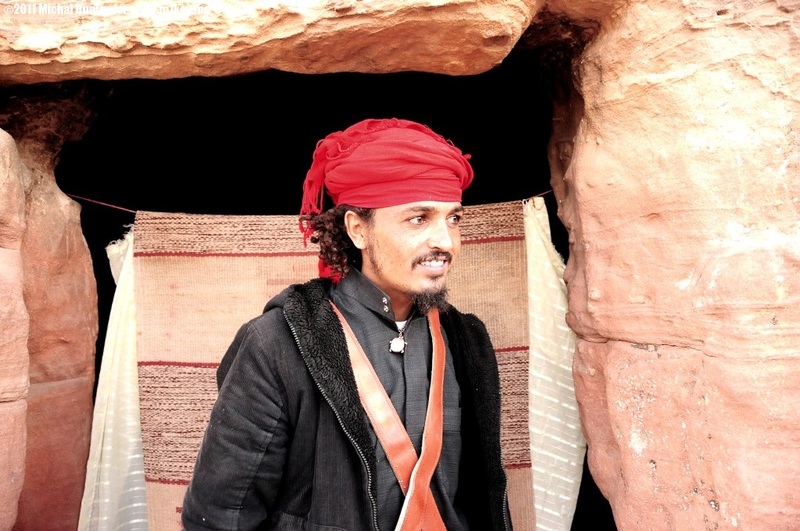 Today, many Bedouin have found employment by serving tourists. I met this guy, Jack Sparrow's younger brother, on top of a mountain. "Salam Alaikum! Would you like to drink some tea? ", he asked. He lived inside a thousands of years old cave you can see behind him. Inside there was a shisha (hookah), lots of carpets, some candles. "I live here completely by myself! 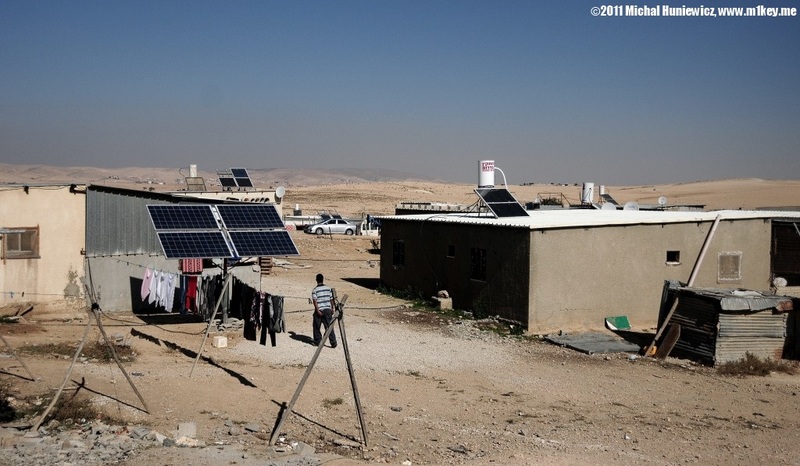 I have everything", he said, adding "Well, tomorrow I have to go to the town to charge my phone..." I suggested he used solar panels like those in Alsra. They wear traditional clothes, makeup - anything for the tourists. 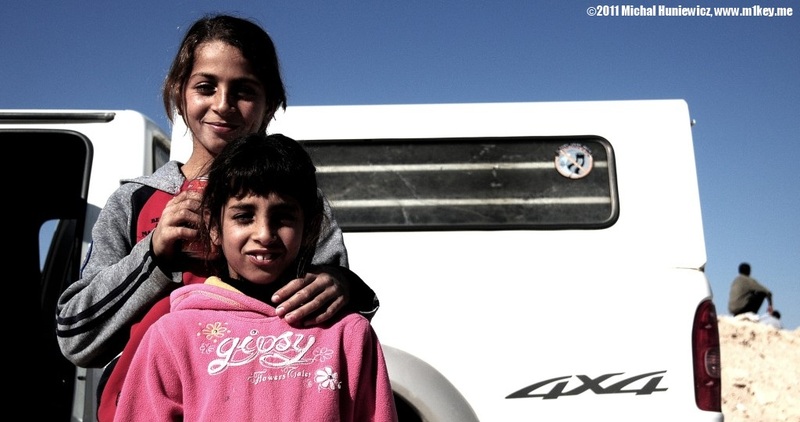 It seems that this might be the future of the Bedouin, after all. Settlement plus commercial reenactment. Didn't that happen to everyone anyway?